“Alongside an earlier career in engineering, Mike has had a life long interest and involvement with graphic design, painting, printmaking and illustration, including work for South Hams District Council and the environmental organisation Common Ground. 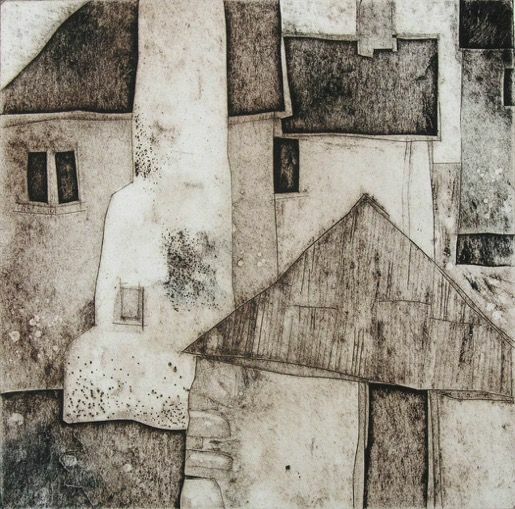 From 1997 to 2013 he ran Press Gang Printmakers the print workshop based at Salcombe Art Club. Based in South Devon Mike is mainly interested in developing a personal vision, with shoreline, Dartmoor and still life as principal motifs. His time is spent mostly with wood engraving. Collaborative work with the Poets and Painters group is becoming increasingly important to his work. In 2012 he designed and published a book: Poets, Painters and Printmakers showing the groups written and visual work to date.” Source. What interested me in this artist is their beautiful printmaking work. What particularly drew me to Mike Glanville’s print work is his collographs. What I like about them is their range of textures, and that you can get a large amount of detail into them. I also like the atmosphere and feel you can only really get from this technique of printing, its sort of murky, yet still contains beautiful details. Heal’s, Mini Boden, Flow Magazine, Anthropologie, Chronicle Books, The Independent, Anorak Magazine, Positive News, Donna Wilson, Graniph, The Skinny, Design For Today, Cicada Books, Compendium Inc., Little Otsu and Hallmark Cards. Source. I really love the colours and textures used in this artists work. I like the simple two colour (three if you count white) pallet used and the hand drawn feel to the work. The texture looks like the illustration was possibly printed, maybe using screen print or linocut. 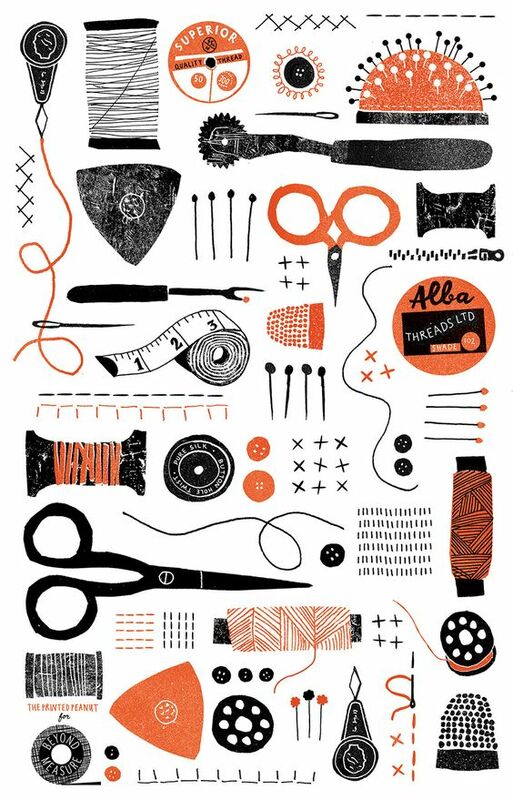 Another thing that drew me to Louise Lockhearts work is the simplicity of line and shape used and how effective it is in creating a fun illustration. I have been exploring for a little bit for any high quality articles or weblog posts in this kind of house . Exploring in Yahoo I at last stumbled upon this site. Studying this information So i am satisfied to express that I have an incredibly good uncanny feeling I discovered exactly what I needed. I so much undoubtedly will make sure to don’t put out of your mind this site and provides it a look regularly.